Robert Benton Willcutt, 85, was born March 1, 1932 and passed away peacefully on May 17, 2017. Robert is survived by his wife of 57 years, Kathryn, his 3 children Gunnar, Lora, and Lynn, 2 stepsons Randy and Louis McKim, his 13 grandchildren, 5 great-grandchildren, and his beloved Scottish Terrier Shortie. Robert was preceded in death by his father Addison Claude, mother Jeanette Marie, his sister Barbara Hubbard, and brother Ned Willcutt. Robert was born in Kirksville, Missouri while his father was a student at Kirksville College of Osteopathic Medicine. He grew up in both Hermiston and Ocean Lake, Oregon, and attended and graduated from Taft High School in 1950. In 1950, Robert entered college, and attended Willamette University for 2 years until 1952. In order to continue to work his way through college, Robert enlisted in the United States Marine Corps in 1952. While in the Marine Corps, Robert, played in the Marine Corps band, and won a sharp shooter medal. He reached the rank of Sergeant before being honorably discharged in 1955. After being discharged from the Marines, Robert continued his college education and attended and graduated from Oregon State University in 1957. 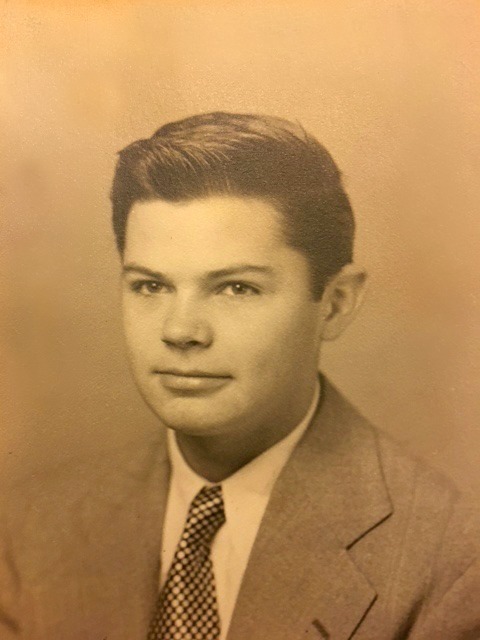 After graduating college, Robert followed in his father’s footsteps, and attended Kirksville College of Osteopathic Medicine and graduated in 1961. He met and married Kathryn Lewis and they had 3 children and 2 step sons together, and lived in Kirksville, Missouri until 1975 when Robert and Kathryn moved to Mesa, AZ. Robert was a Doctor of Osteopathy with a specialization in Internal Medicine. He practice medicine in Kirksville, Missouri at Kirksville Osteopathic Hospital, and he taught Neurology at Kirksville College of Osteopathic Medicine until 1975. In 1975, Robert and his family moved to Mesa, AZ where he practiced medicine at Mesa General Hospital, and his private practice, Central Arizona Medical Associates until 1987 when he retired. Robert was always the first doctor in the morning to make his rounds at Mesa General, and he had an excellent bedside manner. He cared very deeply for all of his patients. After retirement, Robert kept his medical license current, so he could help with medical advice for family and friends. Robert had a love for sports cars, owning many different ones in his lifetime. He was also an avid sports fan, participating in many sports as a young man, and continuing his love of sports well into his old age. He played basketball until he could not play any longer, and then took up playing tennis. He met and had many good friends that he played basketball with. This is where he was given the nickname “Doc.” Everyone who played basketball at Chaparral Park in those days knew “Doc” and his red Pantera. A visitation will be held Friday, May 19, 2017, from 6-8 PM, at Bunker’s University Chapel, 3529 E. University Drive, Mesa, Arizona. Funeral services will be Monday, May 22, 2017, at 10 AM, at the same location. Just became aware of Dr Willcutt’s passing this morning. He was a mentor, an icon and one of the best physicians ever–and that’s a high bar in my world. Semper Fi Dr Willcutt, Semper Fi!